Keep your pet warm indoors and out with the Cloak & Dawggie Stretch Fleece Dog Sweater in Red Buffalo. Our Cloak & Dawggie™ Solid Fleece Sweater for dogs in a novelty pattern is the ideal pullover for wearing under coats or for a lighter layer for use around the house. 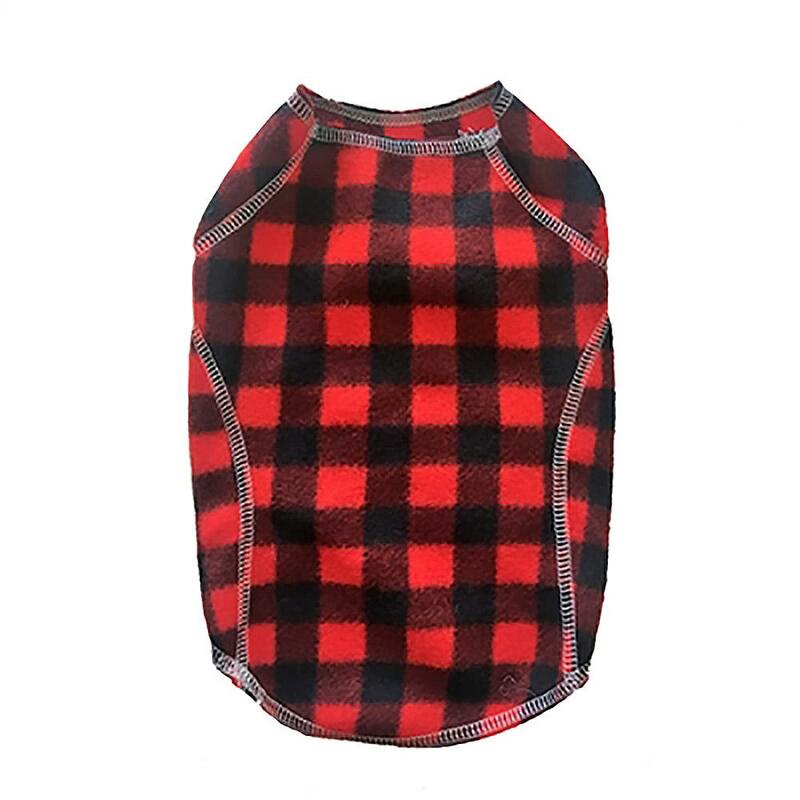 The simple solid style features clever 2-piece construction with contrast stitching features a 2-way stretch polyester fleece that will keep your pet warm indoors or outside on chilly days. Can also be worn under harnesses or coats for an extra layer or warmth.